The rising prices of certain rare timepieces have brought a lot of attention to the vintage watch market. With all the attention has come an increased focus on the minutia that surrounds these rare and valuable watches; and as always, there is an ample amount of confusion and general misunderstanding regarding certain terms and details that can separate two similar looking watches by tens (or even hundreds) of thousands of dollars in resale price. Terms such as “tropical” and “patina” frequently get misused to describe watches that are (for lack of a better word) simply damaged. While two watches with discolored dials or darkened lume can appear somewhat similar at first glance, there is a significant difference between something having an appearance that has naturally changed over time, and something that has had its appearance changed due to a specific incident of damage or contact with a foreign substance. The color of watch dials can change over the course of many years due to unavoidable environmental factors such as oxidation and sunlight exposure. In other instances, the color of a dial may change due to the inherent properties (or tiny imperfections) of the materials that make up the dial itself and its numerous different layers of surface finish. When watch dials change color naturally and symmetrically, it is often said that they have developed a patina, and are frequently referred to as “tropical dials” within the vintage collecting circles. With that in mind, contact with water, oils, extreme heat, and various liquid chemicals can also alter the appearance of a watch dial. However, a color change – even a very aesthetically pleasing one – that occurs due to an isolated incident is not the same thing as a patina that slowly develops due to the unavoidable passage of time. 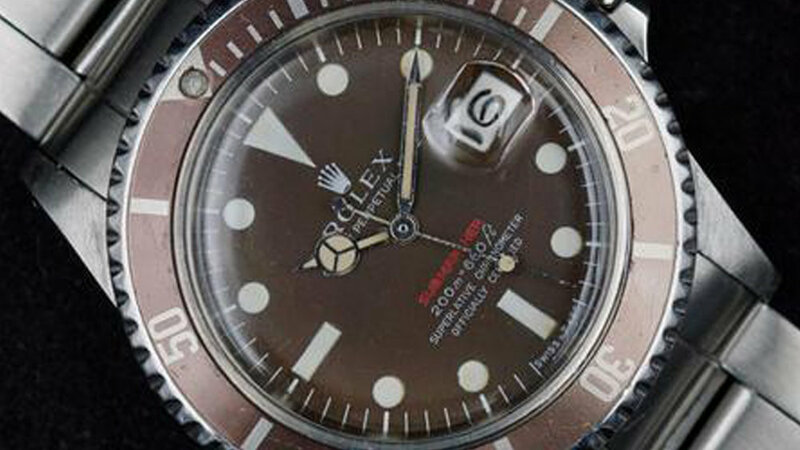 Many watches with spotted, stained, or otherwise damaged dials frequently get incorrectly labeled as having a patina or being tropical; however in reality, they are simply damaged (or “distressed” if you prefer), and would not look the same as they do now, had something not happened to them at a previous point in time. A similar distinction exists concerning the luminescent material found on the dials and hands of vintage watches. Older timepieces relied on radioactive tritium to provide them with their glow, and over the course of many years, the presence of the radioactive substance slowly darkens the color of the tritium paint and causes it to symmetrically change color and take on a tone that can range from light cream to burnt orange. While it is not an entirely uncommon occurrence for the tritium on the hands of a watch to darken at a slightly different rate than the tritium used on the dial of the same timepiece, tritium patina occurs symmetrically; it does not “fill-in” in blotches or only appear on some of the hour markers of a single dial. Although tritium lume will gradually darken over an extended period of time due to the inherent properties of the material itself, contact with moisture, such as water or oil can also change its color and cause it to darken. Unlike a tritium patina that evenly develops over the course of many years, the color change that happens due to moisture damage is quite rapid, and will almost always end up being blotchy and uneven. Additionally, contact with moisture can frequently cause the lume itself to crack and crumble, which can often lead to functional issues for the watch. Many people say that the difference between “patina” and “damage” lies in the eyes of the beholder; however this statement is almost entirely not true. 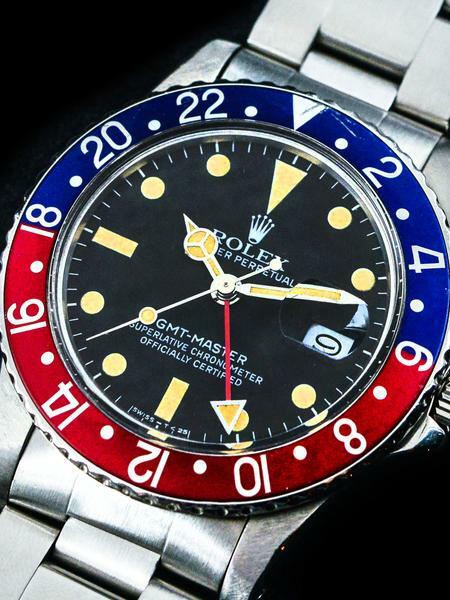 To a certain extent, almost anything that alters the appearance of a watch can technically be considered damage; however a distinction must exist between something changing color due to the inherent properties of its manufacturing materials, versus changing color due to being stained by rust. Although certain watches with very aesthetically pleasing, “distressed” dials can sometimes walk the line between damage and patina, the truth of the matter is that unless the change in appearance occurred organically, than it is simply a very fortunate instance of dial damage.